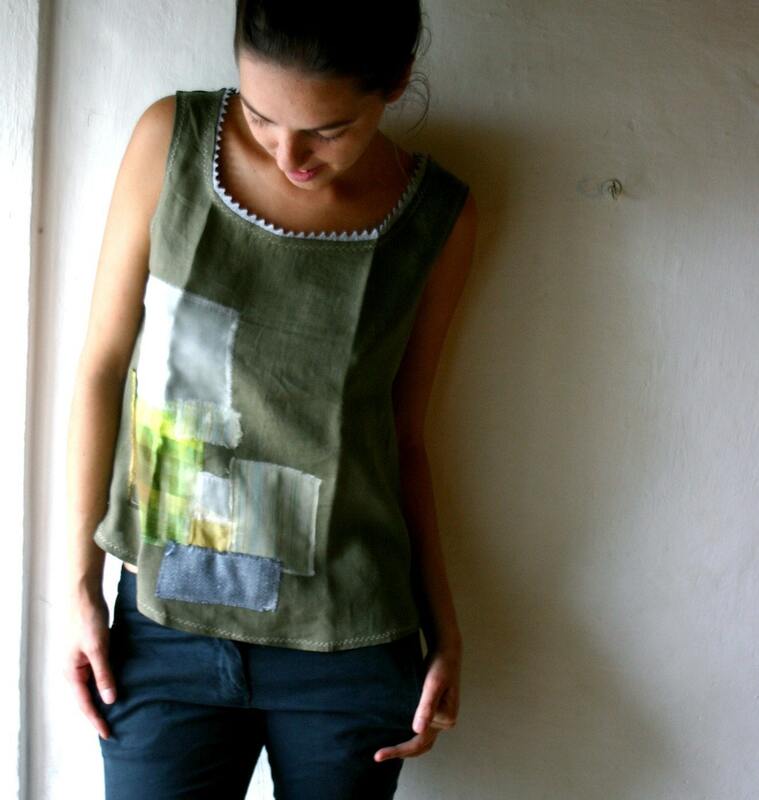 Maria Lucia Squillari lives in Italy, and has always had a love for sewing and crafting, of any kind. Her shop Larime Loom is her full-time job, and has become a family affair. Her mother, Melissa, takes the photos, along with Shanty, (9 yrs) her little sister. Maria and her sister Lidia alternate in doing the modelling, and Lidia also helps a lot with packaging. Everything at Larime Loom is 100% handmade, starting from the designs, all of which are created without patterns. Maria often does not even draw the idea down, she just lays the cloth out, grabs her scissors and cuts, fingers crossed for decent results! Tell me about how you originally got into your craft, Maria. I learned to weave when I was just 9, because my mom had a passion for it and wanted to learn herself. I followed her, just as passionately. During high school I tried to make some extra money by selling handwoven scarves in a local yarn shop, with mild success... I had lots of scarves left over, when in summer 2007 I found etsy and dived right in. I wove lots and developed new design ideas for scarves and wraps, and started selling a lot of small and detailed collars, like this one. Then from there, I started to expand my limited sewing skills and clothing started to take over the shop! Oh my.. it totally depends on the day!!! Usually if I am in a good mood, I love everything I do, anywhere I am. If I am in less of a happy mood, nothing I do will feel engaging. I now know not to judge activities and my liking of them till I try a few times! Stressing out over packaging, tax filing, making made to order items that must be shipped. Those are the three things I like less, and I must be nice and fresh and inspired to be able to not feel challenged upon facing them. For a time I was convinced I would be a potter. I saw a booth at a fair that sold handmade bowls and plates and cups, beautifully glazed. I wanted to make that, and I wanted to very badly. I have yet to try my hand at the potter's wheel, but I am very certain the time will come when I will, hopefully in my own house, making things for me. There is something about a cup of tea in a handmade and beautifully glazed cup that is irresistible to me. It is simple and sweet and flattering. I generally wear a less dressy style then the things I carry in the shop. treehouse28 has been an inspiration; I still marvel over how she does it, staying on top of the load of work she must have! silvia66 is my first heart.. it is poring over her shop that I convinced myself, this can be done! She lives in Italy, and sells beautiful hand-knit scarves and wraps. jschubertdesigns is a fellow weaver, I love her use of color, another of my first favorites. caid is a dear friend of mine, she studies illustration here in Italy, and I love her hand. I hope to keep doing this as I am for a good while, it is a good job and I love doing it. I want to move in to my own place soon too.. possibly, eventually, in the country.